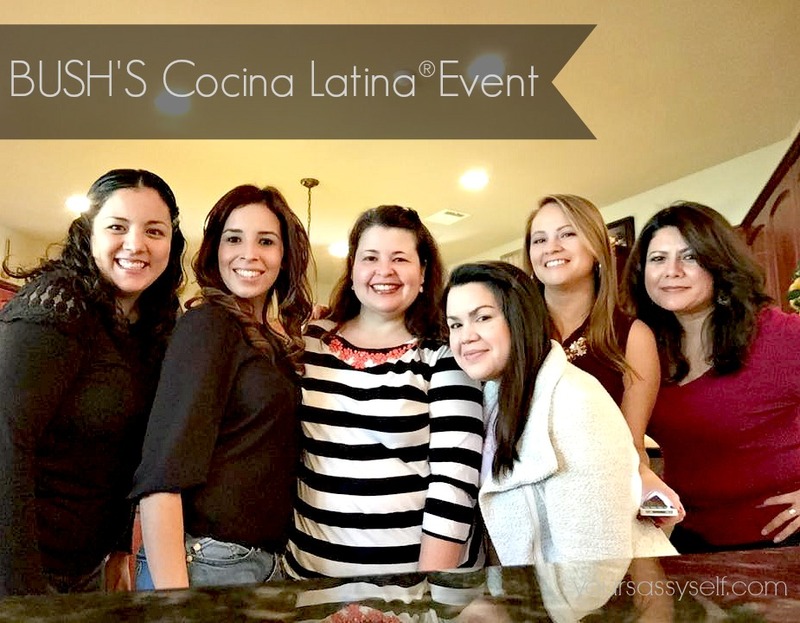 Disclosure: This is a compensated campaign in collaboration with BUSH’S Cocina Latina® and Latina Bloggers Connect. However all opinions expressed are my own. I don’t know about you, but I love me some beans. I’ve generally been a pinto bean kinda girl, with my Mexican roots and all, but recently I’ve become somewhat of a black bean enthusiast. Don’t get me wrong, pinto beans are still a staple in my house, but it’s nice to be able to change it up a bit with yummy black bean recipes. 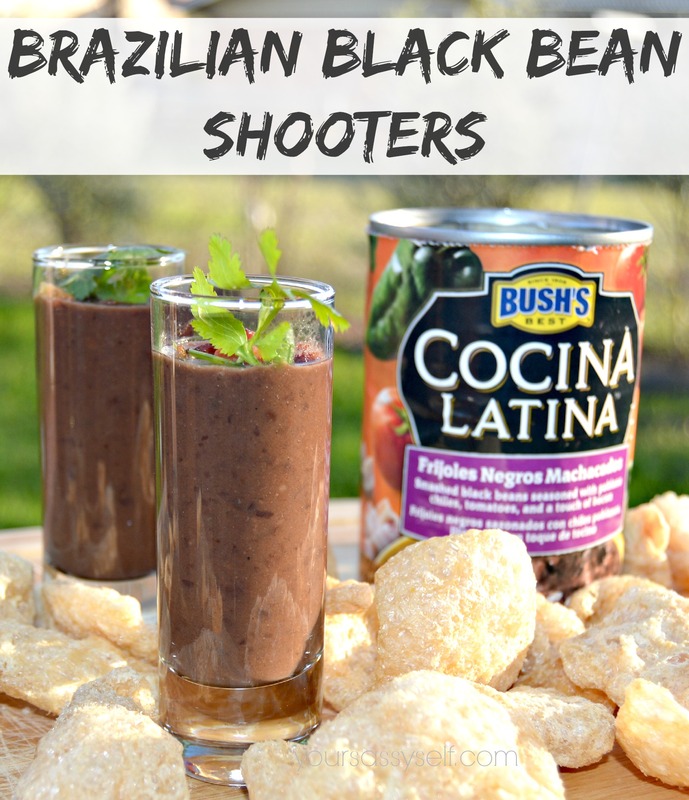 Enter the delicious Brazilian Black Bean Shooters, or Caldinho de Feijão – a Brazilian drinkable appetizer, which Denise Browning of From Brazil to You fame, created for us this weekend at the BUSH’S Cocina Latina® event. Me and my fellow Latina Bloggers at the event. Photo courtesy of Telma Garcia. 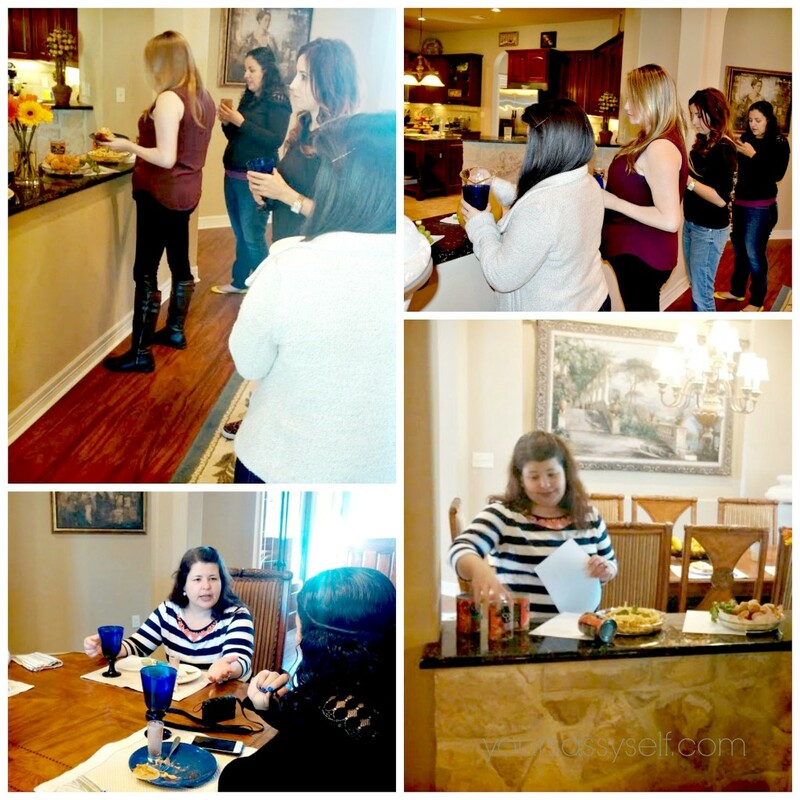 Denise was nice enough to open her home and share her wonderful BUSH’S Cocina Latina® recipes with us. Here are a few shots of the food and fun we had that day. 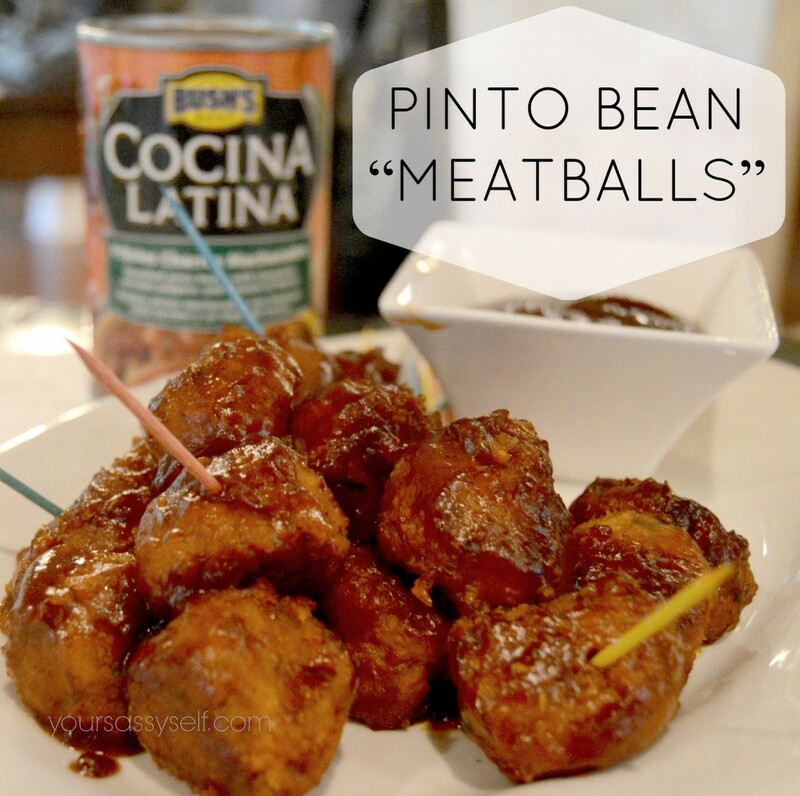 First, can I just show you her Pinto Bean Meatless “Meatballs,” made from BUSH’s Cocina Latina Frijoles Charros Machacados, which are traditional smashed pinto beans prepared using ingredients like tomatoes, serrano peppers and bacon. When I first bit into them I thought she had added some turkey or chicken to the mix, but when I asked her she said they were purely pinto beans. Awesome and totally tasty. 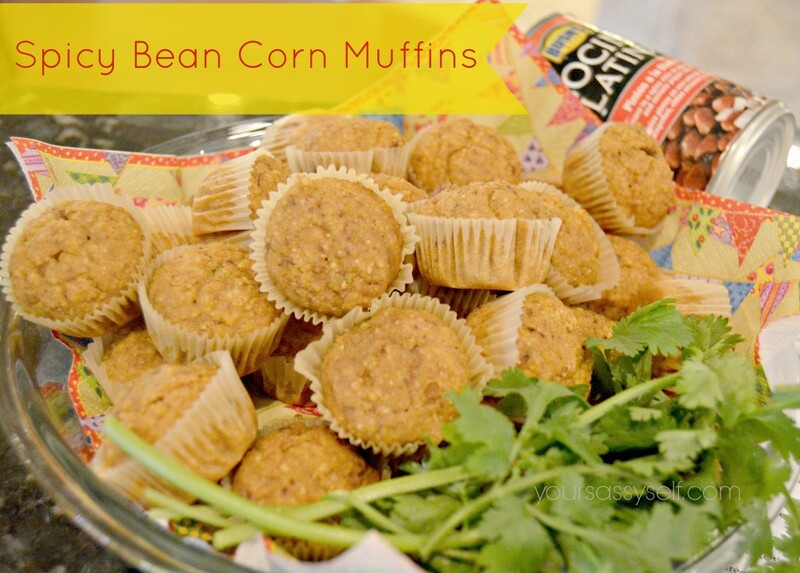 Next we were delighted to her Spicy Bean Corn Muffins, which she made by adding in BUSH’s Cocina Latina Pintos a la Diabla, which are made with authentic ingredients like chile de árbol, jalapeños and serrano peppers. They were delicious. Then came a very surprising, yet yummy mix of flavors via her Pinto Bean Salad, made using BUSH’s Cocina Latina Frijoles a la Mexicana, which are inspired by traditional regional recipes, and uses ingredients like tomatoes, serrano peppers and bacon for an authentic flavor. 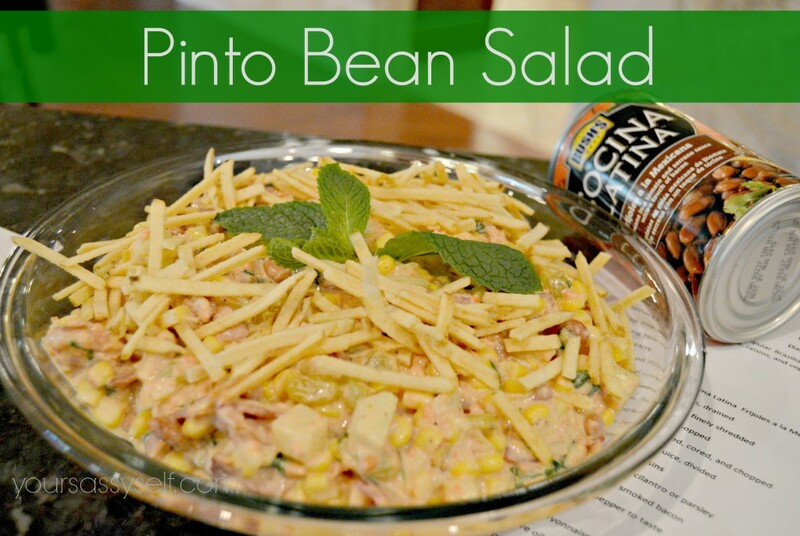 As a pinto bean lover, I must confess that I’ve never thought of mixing them in with my salad, but boy have I been missing out. 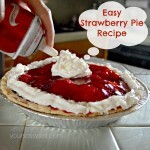 I’m totally making this for our next BBQ. 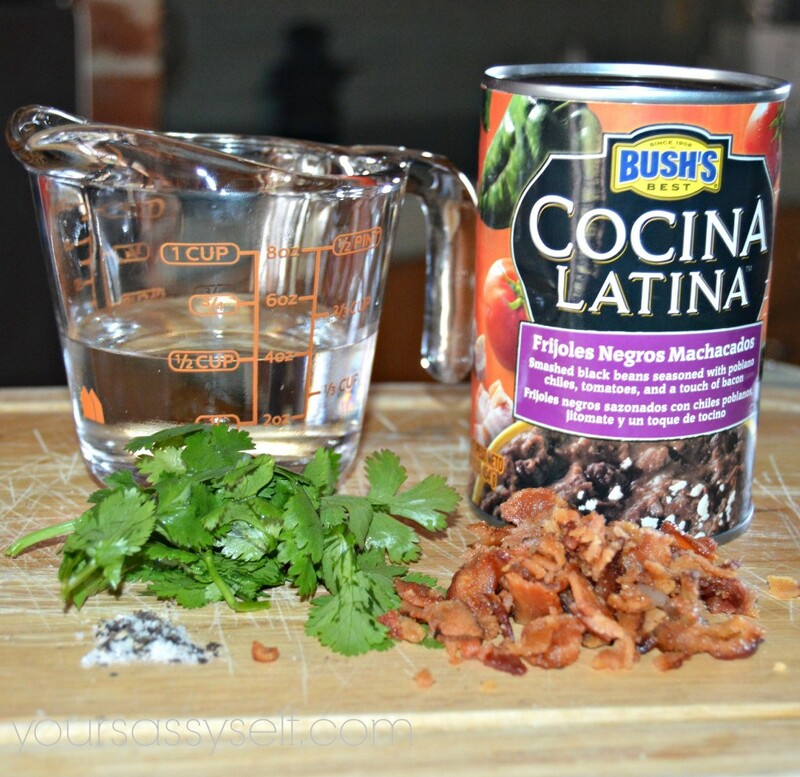 Then came the game changer, her Brazilian Black Bean Pick Me Up – which I renamed Brazilian Black Bean Shooters – made using BUSH’s Cocina Latina Frijoles Negros Machacados, which are smashed black beans prepared with flavorful ingredients such as poblano chiles and bacon. I’m not going to lie, I was a little leery when I heard it was a drink, but after my first sip I was hooked and wanted more. 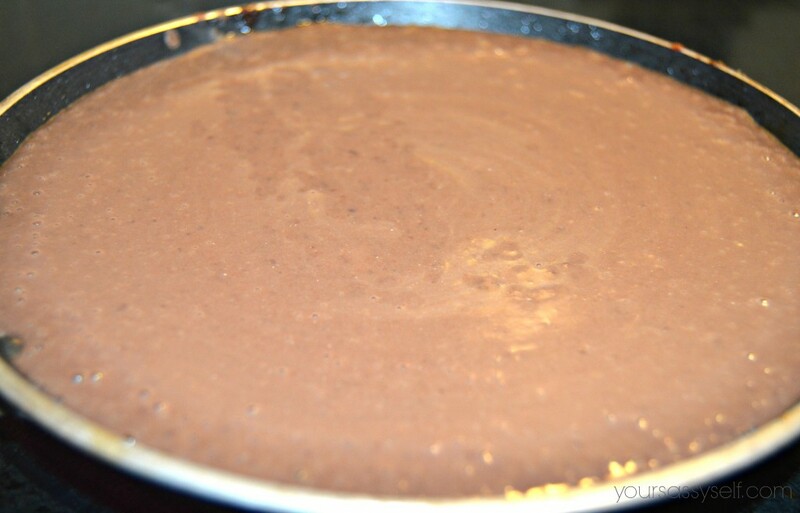 While all of Denise’s recipes were fantabulous (all of which you can get here), this by far was my fav, which is why today I’m going to share this yummy, super easy new way to kick the Frijoles Negros Machacados up a notch via her recipe. 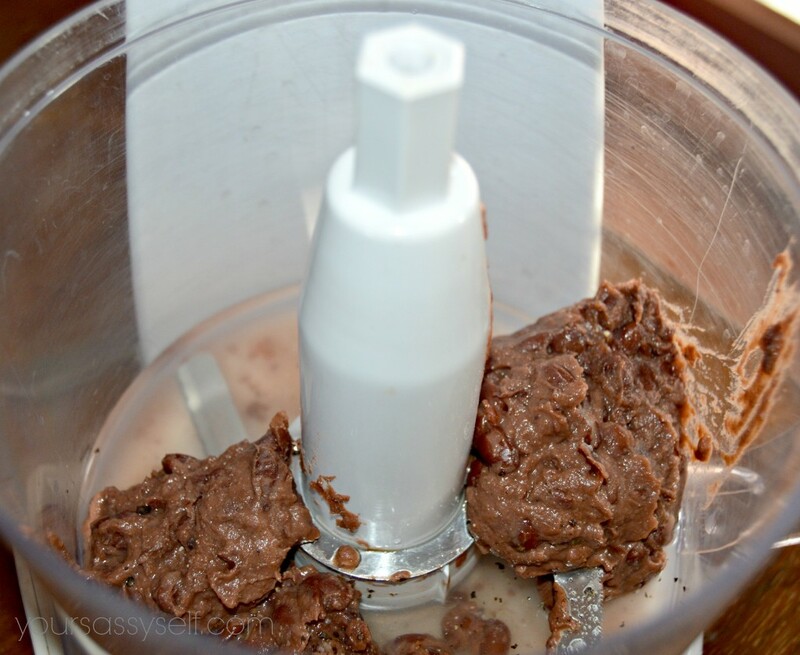 Put the black beans and water in a food processor or blender and season with salt and pepper. Blend to a smooth purée. Pour into a non-stick small pan and bring to a boil over medium-high heat. Reduce heat to medium-low, stir well, and let simmer for about 5 minutes. Stir again. The added twist was that Denise said this delish Black Bean Shooter can be found on the menu of all Brazilian bars and is generally accompanied with a nice, cold beer. 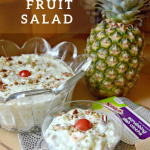 So feel free to add this yummy dish to your game day menu. As you can see we had a blast kicking off the new year eating and sharing the four flavors of BUSH’S Cocina Latina® which were inspired by traditional Hispanic recipes and the kitchen wisdom handed down from the real experts – moms, grandmas and aunts. And to tell you the truth, we were all impressed with the traditional flavors of BUSH’S Cocina Latina. 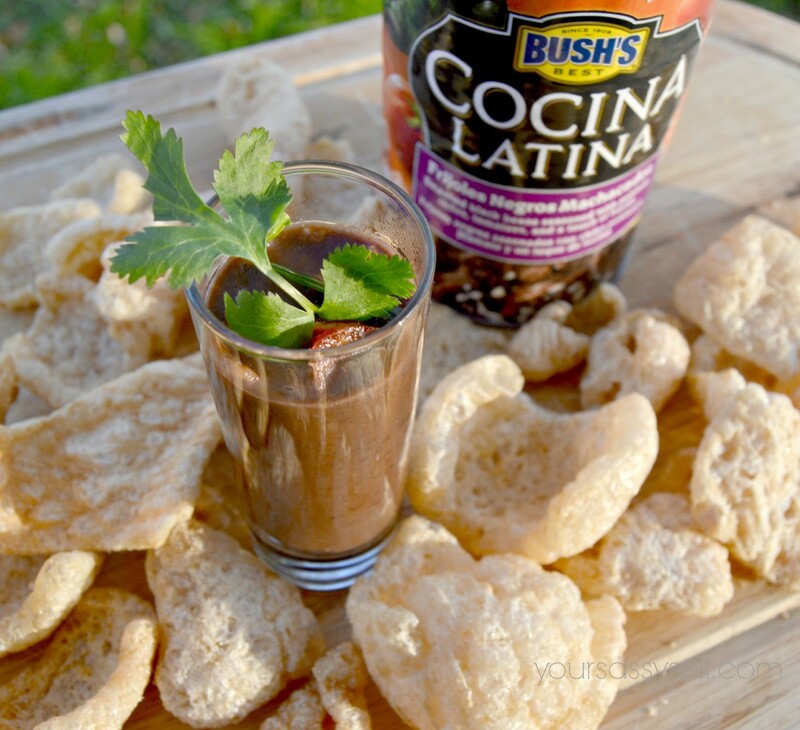 I know you’ll be surprised how much BUSH’S Cocina Latina tastes just like your mom or grandma’s slow-cooked frijoles. 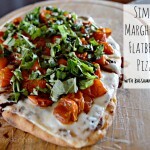 Not only can you detect the delicious ingredients in each flavor, but the taste takes you home. 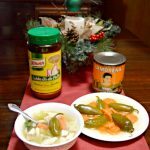 And with their selection of four rich Hispanic flavors, you’re guaranteed to find a favorite for everyone in your family and easily add a taste of home to all your meals. 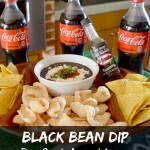 So head out, look for BUSH’S Cocina Latina line of beans in select stores now, and visit FrijolesBush.com for other authentic BUSH’S Cocina Latina chef recipes, pairings and tips. 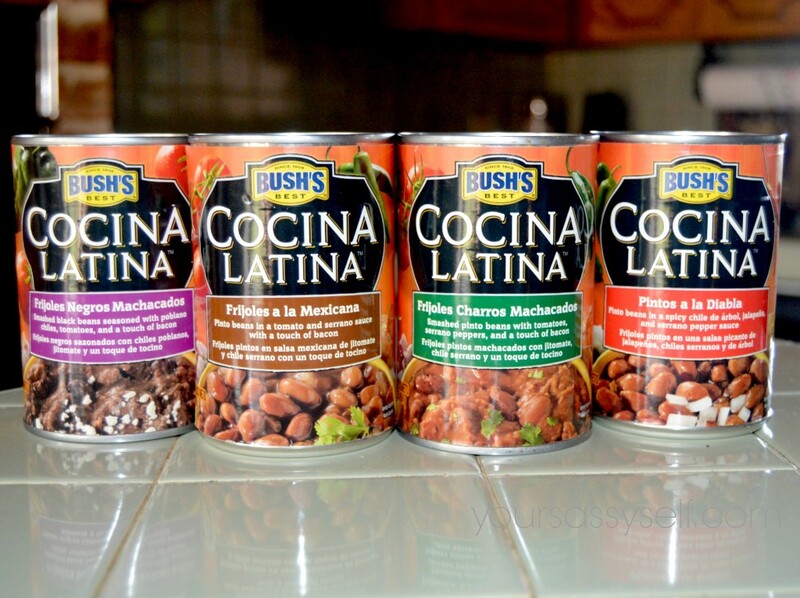 Which BUSH’S Cocina Latina line of beans are you looking forward to trying first? 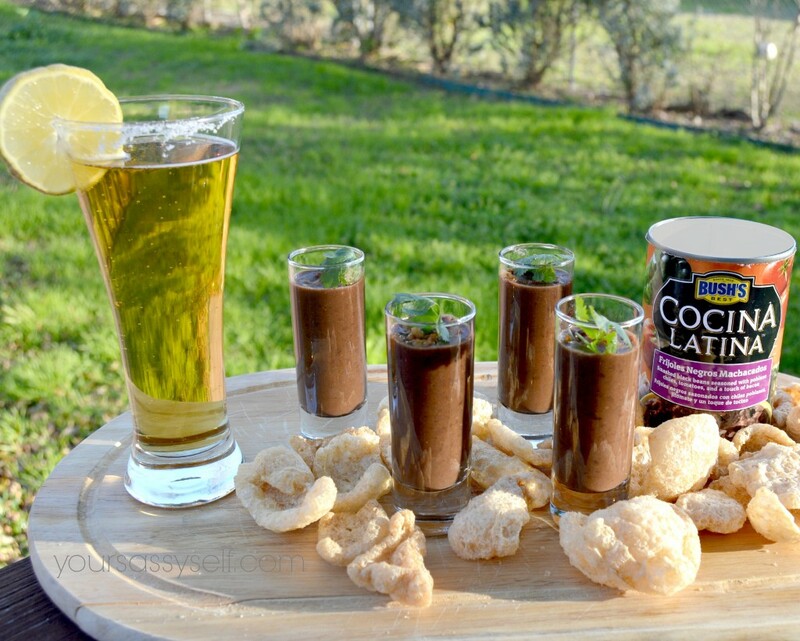 I am so glad that you enjoyed this appetizer, inspired by a typical starter from Brazil. I saw that you served it with beer — just like we do down there. You put a large smile on my face!!! Of course, I had to honor its original intention 😉 totally a great way to warm up as we kick off game day weekend! Thanks for introducing me to it! Have a great weekend!